Vodafone India has been working towards new problem after the completion of the merger. Now the company has launched a new service which goes by the name of ‘Vodafone Sakhi’. This new service by Vodafone Idea Ltd, ventures into a highly underrepresented category of women in the telecom sector. Sakhi is going to be a distress communication service which will cater to filling the communication gap for women when it comes to emergency situations. 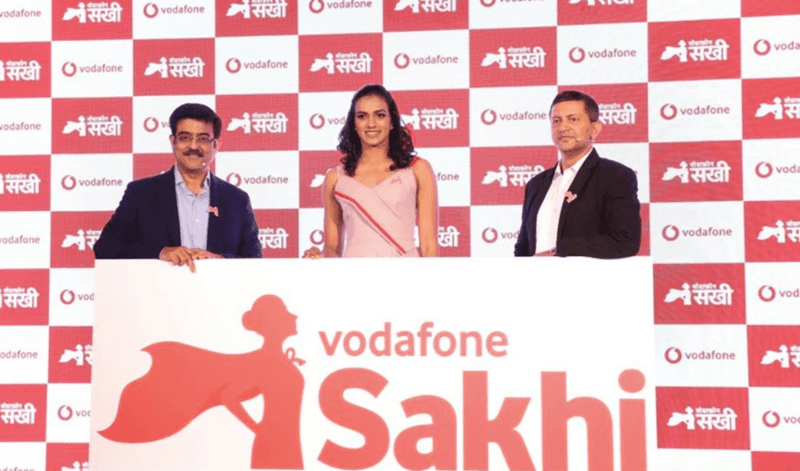 According to Vodafone, there has been a dearth of services when it comes to distress or emergency calling, therefore to bridge that gap, the company has launched Sakhi. Keeping in mind the need for women empowerment and the lack of services when it comes to specially tailor-made services for the women customers of the telco, Vodafone Idea has launched this new service. Under the Sakhi banner, women customers of Vodafone Idea will be able to enjoy features like private recharge, emergency alert, emergency balances and much more. With the growing demand for safety measures against women and the need for more and more tech based services for women safety, Vodafone Idea seems to have stepped on the right stone. These services by Vodafone Idea will be exclusively available to women prepaid customers of Vodafone Idea. In a nation with one billion subscribers, only 18% of this base is represented by women. In such a situation, Vodafone Idea sees the chance to propel more and more use of phones by women in India especially the ones in rural regions. According to the company’s Associate Director – Consumer Business, Avneesh Khosla, there is a massive potential in this segment. Also, to make the Sakhi service as widespread as possible, Vodafone Idea Ltd has made this service accessible to both smartphone and feature phone users. Another thing which is noteworthy is that to use this distress calling or emergency service, women subscribers won’t have to worry about having a balance on their account or internet connectivity. This way, Vodafone Idea Ltd will ensure widespread connectivity. As per the executive, Vodafone Idea’s step into this category is a jab at a prevalent problem which is being faced by millions across the globe. As such, this zero balance service with basically no entry barrier will urge the women to take help of technology to ensure their safety. Vodafone has been launching new services aimed at women audience and the Vodafone Sakhi is a new programme altogether.